These unisex cardigans feature 3 neck options, knitted in Double knit yarn. In sizes35cm-55cm (14in-22in). 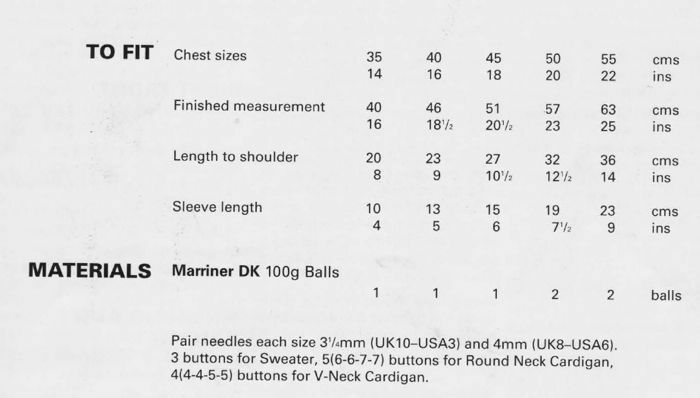 Hooks required Pair needles each size 3 1/4mm (UK10- USA3) and 4mm (UK8-USA6). 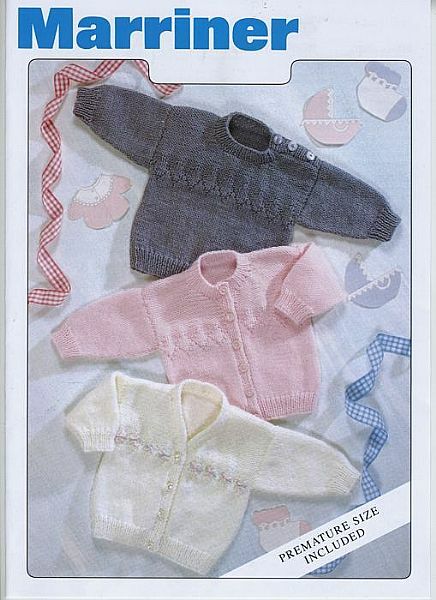 3 buttons for sweater, 5(6-6-7-7) buttons for Round Neck Cardigan, 4(4-4-5-5) buttons for V-Neck Cardigan.